The Orchard has acquired all North American distribution rights to director Antonio Campos’ drama “Christine,” which stars Rebecca Hall as TV news reporter Christine Chubbuck, the company announced Thursday. “Christine” recently premiered in competition at the Sundance Film Festival, where it drew mostly positive reviews. The Orchard is planning a traditional theatrical release later this year that will include an awards campaign highlighting Hall’s performance in the title role. Based on true events, “Christine” follows the curious case of Christine Chubbuck, an ambitious 29-year-old news reporter in Sarasota, Florida, circa 1974. Relentlessly motivated to succeed, she knows she has talent, but being a driven career woman in the 1970s comes with its own challenges, especially when competition for a promotion, unrequited love for a coworker (Michael C. Hall) and a tumultuous home life lead to a dissolution of self. With ratings in the cellar, the station manager (Tracy Letts) issues a mandate to deliver juicier and more exploitative stories, an approach firmly at odds with Christine’s serious brand of issue-based journalism. To accomplish her goals, she must overcome her self-doubt and give the people what they want. “Christine” was written by Craig Shilowich, who also produced with Melody C. Roscher. The film was executive produced by Sean Durkin and Josh Mond of Borderline Films as well as Robert Halmi Jr. and Jim Reeve of Great Point Media. The supporting cast includes Maria Dizzia, Timothy Simons, J. Smith-Cameron and Jayson Warner Smith. “We’re so happy that ‘Christine’ has found a home with The Orchard. Their passion and enthusiasm has truly excited us, and we can’t think of a better partner,” Campos added. Campos is an award-winning writer, director and producer who is also one of the three founding members of Borderline Films, a New York-based production company and filmmaking coalition. Campos’ previous credits as director include the 2008 Cannes selection “Afterschool” and “Simon Killer,” which premiered in competition at the 2012 Sundance Film Festival. Through Borderline, Campos has produced such titles as Josh Mond‘s “James White” and Sean Durkin‘s “Martha Marcy May Marlene.” Borderline also executive produced Nick Pesce’s Sundance title “The Eyes of My Mother” under the new banner Borderline Presents. The Orchard negotiated the deal with UTA Independent Film Group and WME. Why It’s Hot: Between his low budgets and his loyal following, Kevin Smith’s movies are attractive to buyers, especially if Johnny Depp co-stars. “Tusk” was divisive but we loved it and can’t wait for this follow-up, which seems a bit more accessible and commercial than a movie about a human walrus. Why It’s Hot: This family dramedy finds Krasinski’s character returning home to his small town where his mother is about to undergo surgery. The star-studded ensemble makes the film a high priority for buyers, who are expected to pounce before the credits roll. Why It’s Hot: Netflix bought worldwide SVOD rights for $7 million, but the film’s theatrical rights are still available. The splashy Netflix deal, rumored to be the biggest pre-festival acquisition in the history of Sundance, suggests that interest will be high among indie distributors who aren’t beholden to output deals. Why It’s Hot: It’s the opening night film, and surely Sundance wouldn’t program a dud. While Shannon plays Plemons’ dying mother, Kelly is a “Saturday Night Live” writer, so expect a little levity in the proceedings. Plemons has earned no shortage of goodwill thanks to “Fargo,” “Breaking Bad” and “Friday Night Lights.” Perhaps this is the project that makes him a movie star. Why It’s Hot: Reichardt has earned a loyal following in indie circles thanks to her previous films with Williams -- “Wendy and Lucy” and “Meek’s Cutoff.” Kristen Stewart’s indies have been hit-and-miss at the box office, but she’s still a high-profile actress, so if the film delivers dramatically, buyers will be ready to open their checkbooks. Why It’s Hot: Lonergan is one of indie cinema’s most-respected filmmakers whose work appeals to prestige distributors. This film was initially set to star Matt Damon before Casey Affleck took over, though Damon is still credited as a producer. “Manchester” was shot by indie darling DP Jody Lee Lipes, who represents another attractive element amid the high-profile package. Why It’s Hot: This project has been in the works for more than a decade. It’s based on a shocking memoir by Brad Land, who recounted a terrifying assault and his experience pledging his brother's college fraternity. The film explores the issue of hazing and how that brutal annual ritual tests the siblings’ bond. James Franco produced “Goat” with Killer Films and David Gordon Green wrote the script, so expect this one to be a must-see for seasoned buyers who like their indies with an edge. 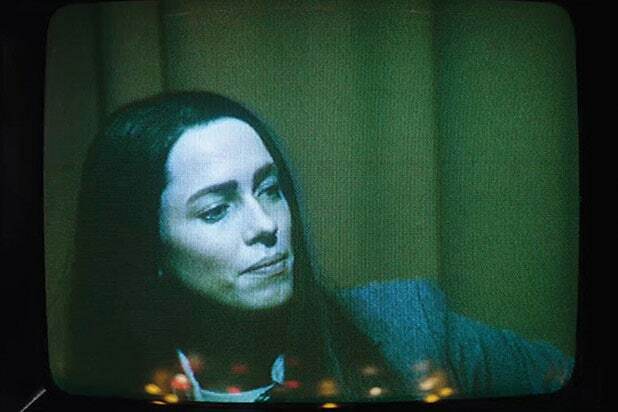 Why It’s Hot: Rebecca Hall is said to give a devastating performance as Christine Chubbuck, a depressed TV reporter who shot herself live on the air in the 1970s. It’s a fascinating story and Campos’ most accessible movie to date. His other, more challenging films found distribution and they didn’t have the star power “Christine” boasts, so expect some smart buyer to take it off the table quickly if reviews are positive. Why It’s Hot: The logline alone -- a champion college quizzing team tries to win the all-India finals and lose their virginities -- had us in stitches, and the controversial Indian filmmaker known simply as Q doesn't play it safe. This could end up being this year’s “Napoleon Dynamite” if advance buzz is any indication. Buyers shouldn’t underestimate the audience for a movie like “Brahman Naman,” which is in English but could still lend itself to an American remake. "Michael Jackson’s Journey From Motown to Off the Wall"
Why It’s Hot: It’s Spike Lee tackling Michael Jackson. That’s why. It also doesn’t hurt that Lee has procured interviews with a who’s who of the music industry, including Janet Jackson, Quincy Jones, Gladys Knight, John Legend, Berry Gordy, Pharrell Williams, Stevie Wonder and The Weeknd. "Richard Linklater: Dream Is Destiny"
Why It’s Hot: Sundance is the undisputed king of indie cinema, and director Linklater is among its filmmaking royalty. This documentary examines his impact on the indie world, from making “Slacker” in Texas in the early '90s to directing "Dazed and Confused," "Waking Life” and “Boyhood.” His work has inspired a generation of filmmakers to try their hand at DIY-filmmaking. The Sundance crowd should eat it up. Why It’s Hot: This strange-but-true story follows a famous director and actress who are kidnapped by movie-obsessed dictator Kim Jong-il and forced to make films in North Korea, where they get a second chance at love, but only one chance at escape. With a gloriously bizarre premise like that, this documentary promises to be fascinating. Why It’s Hot: Produced by Katie Couric, this doc about gun violence is guaranteed to generate controversy, which might as well be music to buyers’ ears. It gives distributors something to sell. “Under the Gun” examines the aftermath of the Sandy Hook massacre and includes never-before-seen footage from the movie theater shooting in Aurora, Colorado. It’s probably the hottest documentary at Sundance this year, so don’t miss it. Why It’s Hot: Sundance played a savvy publicity game with this title, initially keeping Allen’s identity a secret. He eventually came forward to claim responsibility, but his reluctance is understandable. The film takes an inside look at a West Hollywood cult formed by a charismatic teacher in the 1980s that eventually imploded. We don’t know what kind of cult is depicted in the movie, but we’re guessing he didn’t want to get on its bad side.